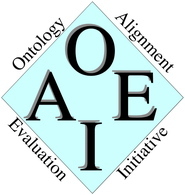 In the OAEI 2014 campaign the dataset is based on the Conference track. We have populated some of the Conference ontologies with (synthetic) ABoxes extracted from the DBLP dataset and we have defined a set of queries over these ABoxes. For example, given the query Q(x):=Author(x) expressed using the vocabulary of Cmt ontology, Ekaw ontology has been enriched with synthetic data; the query Q(x) is executed over the aligned ontology Cmt ∪ Ekaw ∪ M where M is an alignment between Cmt and Ekaw conference ontologies. The evaluation framework together with a subset of the dataset and queries that will compose the OA4QA evaluation can be found here (24Mb) (last modified: 15/09/2014).